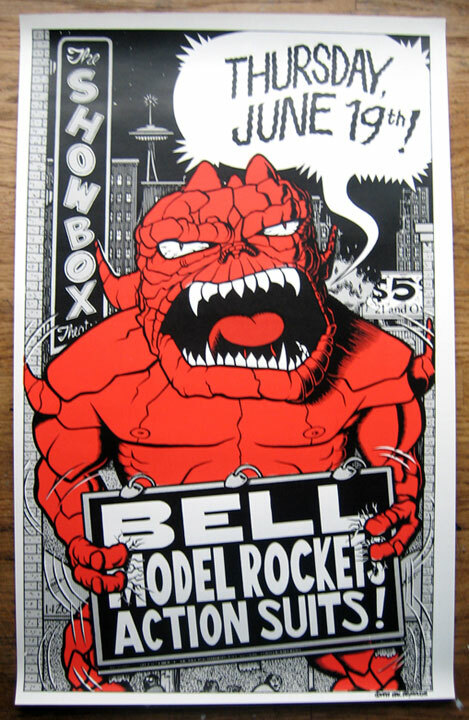 12" x 19" screenprinted rock poster for a Seattle Showbox show with Bell, the Model Rockets and the Action Suits. Circa 1997. Signed by the artist (me).